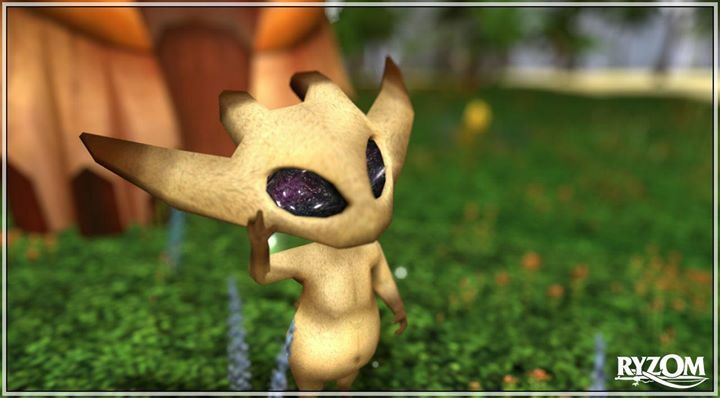 Forums » OFFICIAL NEWS » Ryzom moves to Freemium model! As we announced last September, we have been working for several months at the redesign of Ryzom to freemium game. We are pleased to announce this work is completed and this major change will be implemented on May 31, 2017. The subscription-based gaming system as proposed by Ryzom until May 31, 2017 was common when the game was released in 2004. But it is no longer in line with what is being done today and above all, no longer responds the expectations of a part of our community nor of our potential future players. Indeed, our current system does not allow a player who unsubscribes to continue playing under his account. This incites a number of players not to subscribe to avoid this inconvenience, and prevents our old subscribers from freely returning to the game. Ryzom now includes two account modes: Free to play mode, with basic gameplay but sufficient to play the whole game correctly, and Premium mode, offering additional game options. This is the default mode of the account. This mode is applied to all characters in accounts that do not or no longer subscribe to the Premium option, including those with one or more skills risen above 125. Skill levels capped at 125. Equipment: possibility to equip and use objects of maximum 150 quality. Foraging: extraction of raw materials of maximum 150 quality. Basic (i.e. excluding rites' bonuses, potions ...) Hit Points, Sap, Stamina and Focus are capped at 1,500 points each. Crafting: quality of manufactured items capped at 150. Assistance from the Support Team. A change of pseudonym allowed for each character. This is the optional mode of the account. This mode is applied to all characters in accounts that subscribe to the Premium option. Doubled gain of XP points. Skill levels: until the maximum possible ingame. Equipment: until the maximum possible ingame. Foraging: until the maximum possible ingame. Crafting: until the maximum possible ingame. Means of storage: 1 mount, 3 mektoub packers, 1 apartment, 1 guild hall. Restoration of old accounts (subscribed prior to the merge of the game servers) in order to recover the characters. Restoration of character(s) in the event of voluntary or accidental suppression. Transfer of character(s) between two Premiumaccounts belonging to the same person. A change of pseudonym allowed every six months for each character. Disabling Premium mode of one's account, therefore unsubscribing oneself, does not prevent the player from continuing to play with that account. The account is simply returned to the Free to play mode. Only items of quality under 150 can be equipped. Any item of higher quality is retained but locked. Storage of items is only allowed on the mount or the first packer if no mount is owned. (From the moment a mount is bought, it becomes the only mektoub that can be used to store objects). It is possible to retrieve items from the other mektoubs but these cannot receive no deposit. What is changing for all players? The quality of the harvesting pickaxes no longer results in area restriction, but in restriction of the quality of the harvested materials (except for mission materials). Foraging: care-planning of a source by a character under Free to Play is possible only if this character is in team with the source harvestor. The quality of the harvested mats will then be capped to 150, even if the one who is harvesting is in Premium mode. On the other hand, a character in Premium mode can still help a Free to Play by doing care-planning on its sources, being out of team. Other restrictions could apply in the event of major forgetfulness or significant inconsistency. Q: I am already subscribed, is there a procedure to follow to switch to Premium mode? A: No, switching to Premium mode is done automatically for any subscriber account. Q: If I subscribe my account under Premium mode, will that affect all of my characters? A: Yes, all characters in the account will have Premium options for the duration of the subscription. Q: How many accounts can I connect simultaneously without being off-charter? A: The limit is set to 4 accounts on the same IP address. The use of an external program to control them is, moreover, strictly prohibited. Q: Will other players be aware of my account mode? A: No, however, as you will be limited in equipment, they will notice that you do not exceed a certain level in your actions. Q: What will be the minimum duration of the subscription and will there be a minimum duration before you can switch from Premium mode to Free to play mode? A: The minimum duration of the subscription remains set to one month and there is no additional delay before switching to the Free to play mode. Q: What are the Premium privileges that I will no longer have access to if I return to Free to play mode? You will only be able to equip items whose quality does not exceed 150. All your items exceeding this quality will be kept but locked. You will be allowed to store items on your mount only, or on your first mektoub packer if you do not own a mount. In the latter event, as soon as you buy a mount, it will replace your first mektoub packer as sole storage medium. You will be able to retrieve items from other mektoubs but will not be able to store on them. You will not be able to raise your skill levels above level 125. Q: I am a former player and my account is unsubscribed, is there a procedure to follow to switch to Free to play mode? A: No, switching of an unsubscribed account to the Free to play mode is automatic. However, if you have not played under this account since the servers' merge of 2012 and want to benefit from a character restoration and you will have to switch it to Premium mode for the duration of the operation, which is part of the services dedicated to the Premium mode. Q: What will happen if, after returning to Free to play mode, I connect a character still equipped with equipment requiring Premium mode? A: The equipments (excluding vests and pants/skirts) that are of higher quality than what Free to play mode allows and will fall automatically in your bag. Q: If I return to Free to Play mode, what happens to my skills and items requiring Premium mode? A: Your skills will be intact, but your equipment and items requiring a Premium account will be unusable. You will have to equip yourself with items of quality under 150, which will limit the power of your actions. Q: Is the price of the subscription going to change? A: No, we do not anticipate an increase in the subscription price. Q: Are you going to charge for future content? A: No, the additions will be available to all players. Q: Are there features included in my current subscription for which I will have to pay separately? A: No, a Premium subscription will encompass all superior features. Q: Will support be the same for both modes? A: Access to support will be the same for Free to Play and Premium accounts. Only a few specialist manipulations will imperatively require a Premium account (account restoration, character transfer, etc.). Q: What will happen if my subscription ends while I am logged? A: Your account will remain under Premium mode until you next logout. Further to your feedbacks, we are thinking to modify the new gameplay for care plannings. We thank you for all your feedbacks, they help us to better adjust our additions and modifications. Responding to your feedbacks, we have decided to remove the limitations involving the Free to Play caretakers in the next few hours. So, the quality of the harvested raw materials will no longer been capped to 150 if the source has been careplanned by a Free to Play character, even if the one who extracts is in Premium mode. We prefer to favour the social aspect of the game rather than a rigid logic in terms of Free to Play mode limitation. The Ryzom Team remains at your disposal for any additional information, and our best wishes to you!